We're less than a week into the NBA playoffs, and we've already seen some incredible performances. The Clippers came back from a 31-point deficit to beat the Warriors in Game 2, setting an NBA record in the process. The Celtics weren't quite as dramatic on Wednesday night, but they erased a 12-point Pacers lead in the fourth quarter to take control of the series with a 2-0 lead. 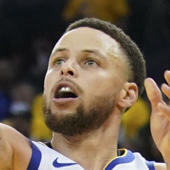 Also taking 2-0 leads were the Milwaukee Bucks and Houston Rockets, who met little resistance from their opponents -- the Detroit Pistons and the Utah Jazz, respectively -- during Game 2 routs. Those series now change venues for Game 3, which, as we've seen, can have a tremendous impact on the outcome of the games.